On top of the papers stacked semi-neatly on MU Director Emeritus of Admissions and Registrar Gary Smith’s desk at his office in the General Services Building lies a columnar schedule sheet, filled out by hand. “I’m on campus every day anywhere from three to five hours,” he says. “I’m with a lot of people, and it’s different people every day,” though, this week, Monday was open, so he worked in the yard at home and watered all of her flowers, he says as he points in his wife Carol’s direction. But Gary rather enjoys being busy. Wednesdays always start with coffee with friends, then this week, lunch with two former financial aid colleagues and a Kiwanis golf tournament meeting. Thursday is a meeting with MU Athletic Director Jim Sterk, a Boone County Historical Society meeting and a standing lunch appointment with a friend the first Thursday of each month. Friday morning is golf if the weather holds out, and drinks with another colleague at 4 o’clock. Carol Smith says her husband is the most “un-retired retired person” she knows. Indeed, his desk has the trappings of a busy man. Come August, 17 years will have passed since Gary officially retired as the director of admissions and registrar for MU, but he insists he never really retired, just has more flexibility in his schedule. “You do things on your schedule,” he says, with an emphasis on the “your.” “It’s easier to say, ‘No, I’m not going to do that anymore,’ or ‘No, I’m not going to do that today.’ Before I always felt an obligation. It doesn’t bother me near as much today to say no.” While that may be so, his schedule suggests he doesn’t say it much. Born in Mankato, Kan., Gary met and married Carol in St. Joseph, Mo. where they both grew up. But having lived the last 50 years in Columbia, he says, qualifies them as “almost” natives. 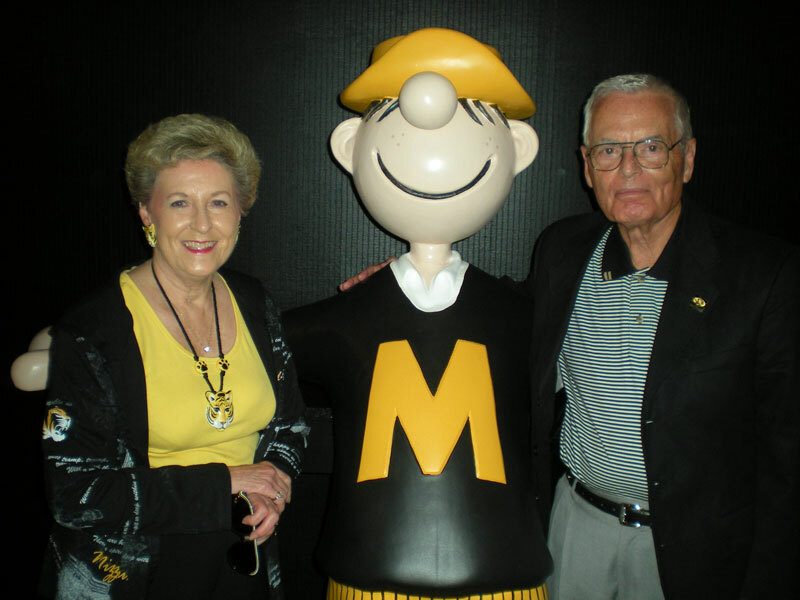 Season ticket holders since they arrived in Columbia in 1967, they share a passion for Mizzou football and basketball and are looking forward to what the next season holds, especially basketball. The Smiths also have an affinity for helping others. After he retired, Gary says, volunteering was important. His simultaneous 30-year career at the university, 35-year career as an officer in the Air Force and Air National Guard, retiring as a colonel, and 30 years in the American Association of Collegiate Registrars and Admissions Officers, culminating in the presidency of that national association, left little time for it. He also served on the board of trustees of the American Testing Program (ACT) for more than 10 years. The grass didn’t grow under his feet, though. 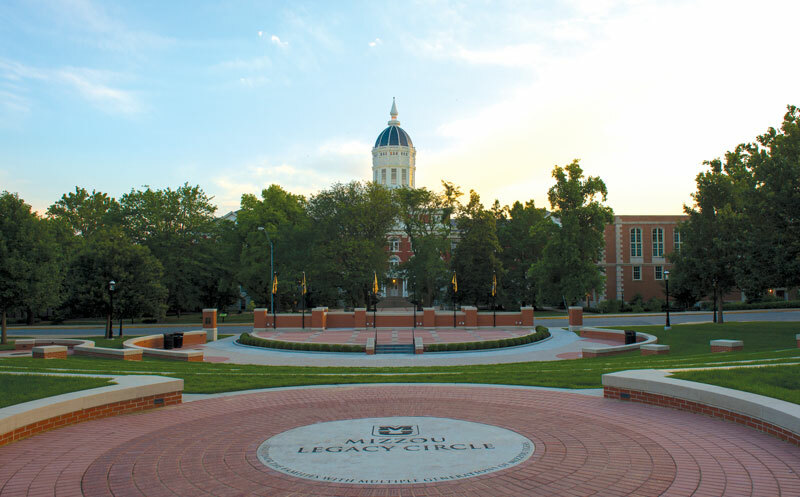 Not long after he retired, he agreed to head the Columbia Area United Way for a short time and later the University of Missouri Flagship Council. His list of volunteer opportunities began to grow: Boone County Historical Society, Mid-Missouri Alzheimer’s Association, Osher Lifelong Learning Institute, MU Friends of the Libraries, University Club, Mexico Military Academy, Mid-Missouri Military Officers Association, Thompson Autism Center and Missouri State Senior Games, among others. Today, he still sits on the boards of the Great Rivers Boy Scout Council, the MU Retirees Association, University of Missouri Flagship Council and Mid-Missouri Military Officers Association of America, and on the executive committee of the Boone County Historical Society. Plus, he teaches one Honors College class in the fall. For Carol, volunteer efforts are important as well. A charter member of the Assistance League of Mid-Missouri, she works in its Upscale Resale shop and volunteers with the Hazel Ebert King’s Daughters Circle; Chapter JJ, P.E.O. Sisterhood; and Our Lady of Lourdes Catholic Church. In the summer, however, her passion is her garden. With all they share in common, there exists a symbiotic flip side to their relationship. Gary is typically gone before Carol gets up. Rising at 5:30-6 a.m., he heads to the Activity and Recreation Center (ARC) five days out of seven to exercise. Sometimes, mornings also find Gary watering the aforementioned garden before Carol stirs. Lythrum, knockout roses, canna, black and blue salvia, sun coleus, black-eyed Susans, evening primrose, Persian shield, azalea, pink fountain gaura and hibiscus are among the beauties she beckons each fall to come back in the spring, either voluntarily or via greenhouse flat. In addition, Carol confesses, their “teamwork” works well indoors. “I never cook. I tried to learn when we first got married, and I had some big downfalls,” she says. “He told me to get out of the kitchen, and I never went back.” Carol does have a knack for baking and dessert, though. His best dish? A baked chicken recipe they got from a woman they knew many years ago. It has a sweetness to it and is served with rice. Ironically, it’s “Mrs. Flowers’ recipe. That’s my specialty,” he says. She was a real person, not a moniker for Carol’s green thumb. Of all of the organizations with which Gary volunteers, the ones supporting education on some level seem to dominate his time and fuel his passion. Gary spends half of July with the Hagan Scholarship Foundation, assisting with the scholarship recipient workshops. The foundation has been an important project to him since he became involved some eight years ago. For him, part of this particular endeavor includes helping the students in the areas of financial and academic success. Not so surprising, that is the top piece of advice he has for students: Treat your education like a full-time job — 8-5, Monday through Friday — and be particular about involvement opportunities you accept. If his schedule is any indication, learning how to not waste time is a lesson Gary Smith learned well. © 2019 - Inside Columbia. All Rights Reserved.